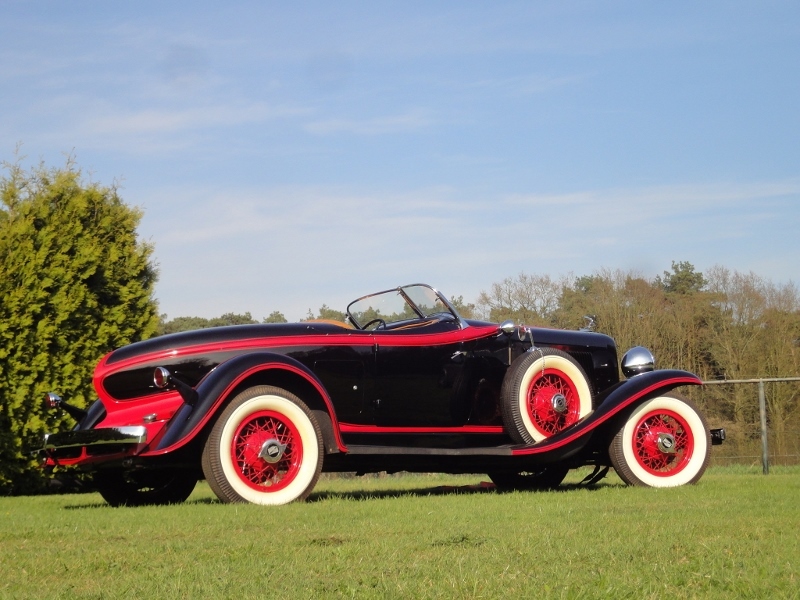 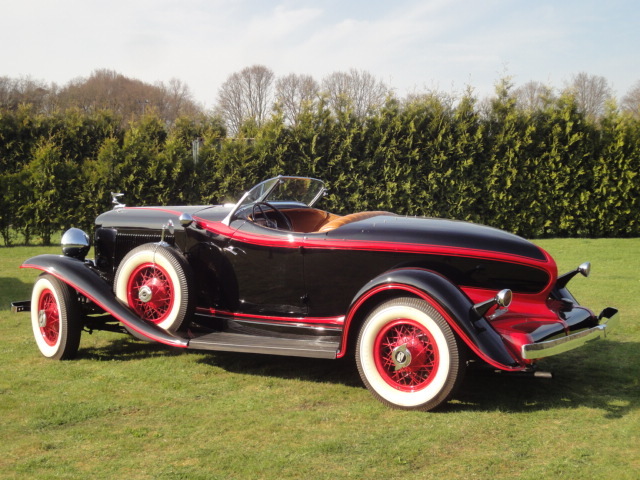 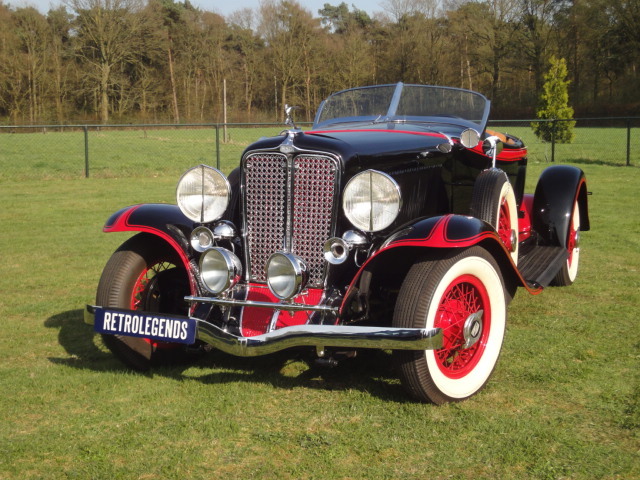 This Auburn is one of the most appealing cars of the thirties produced in the USA. 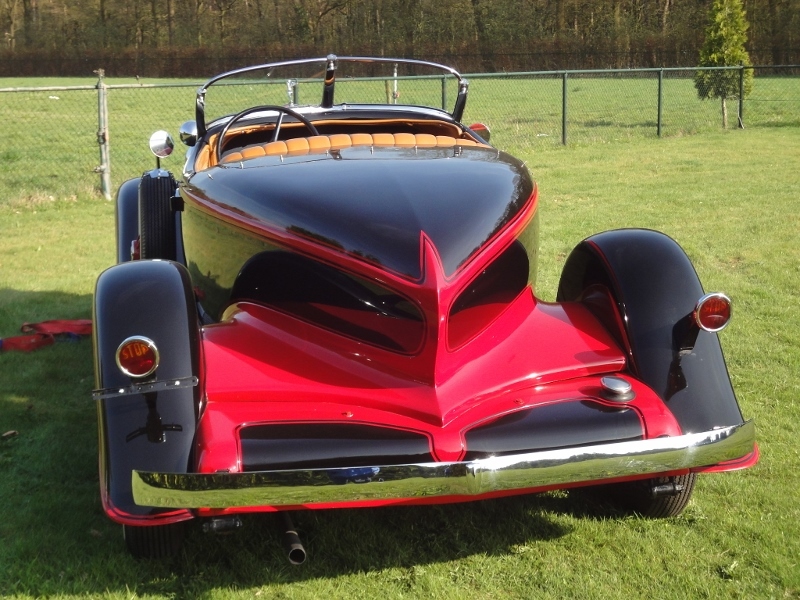 The design was smashing and did head turns in those days, and nowadays still does. 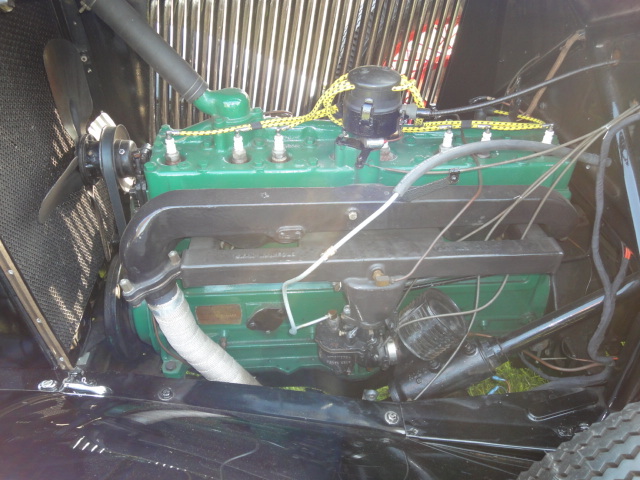 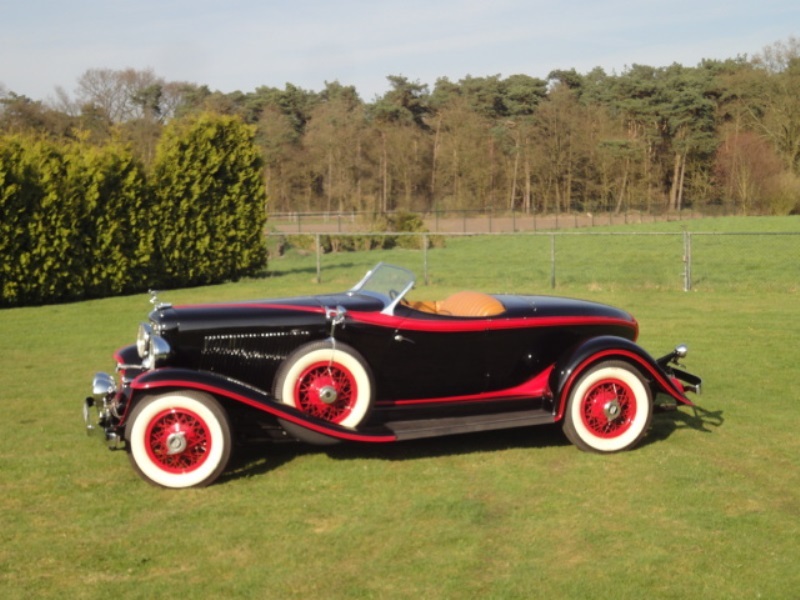 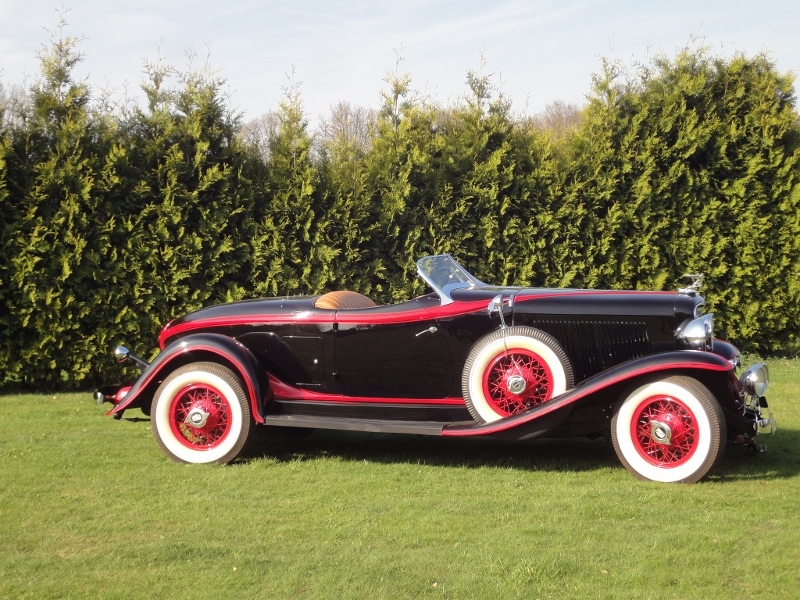 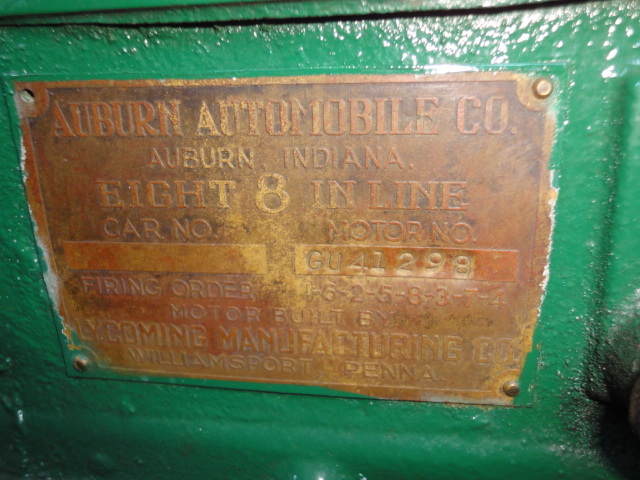 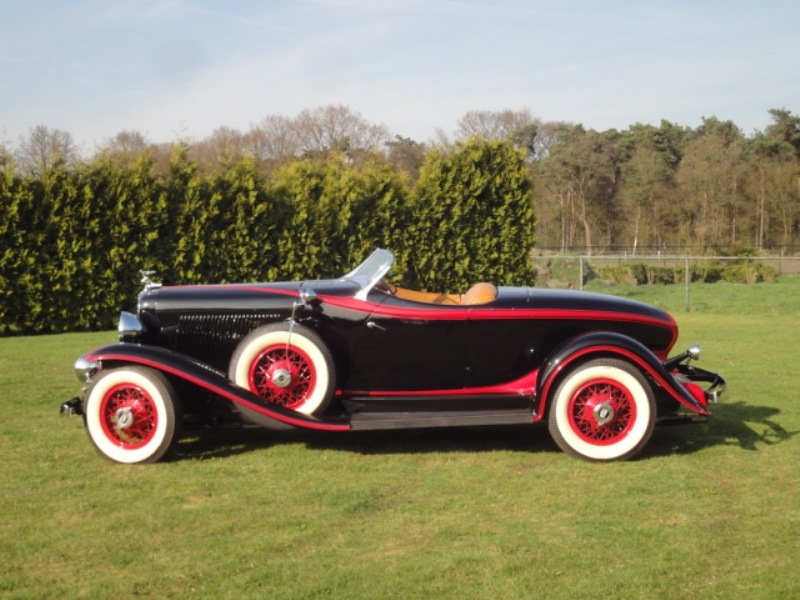 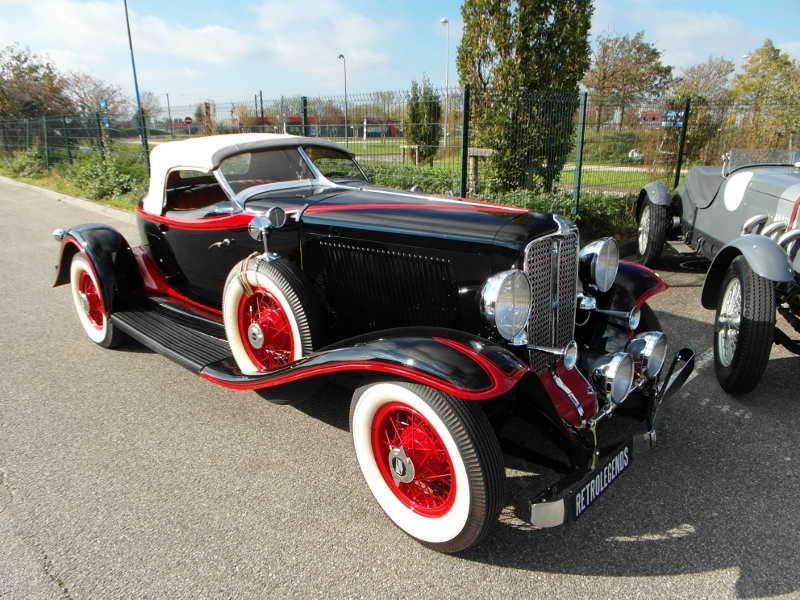 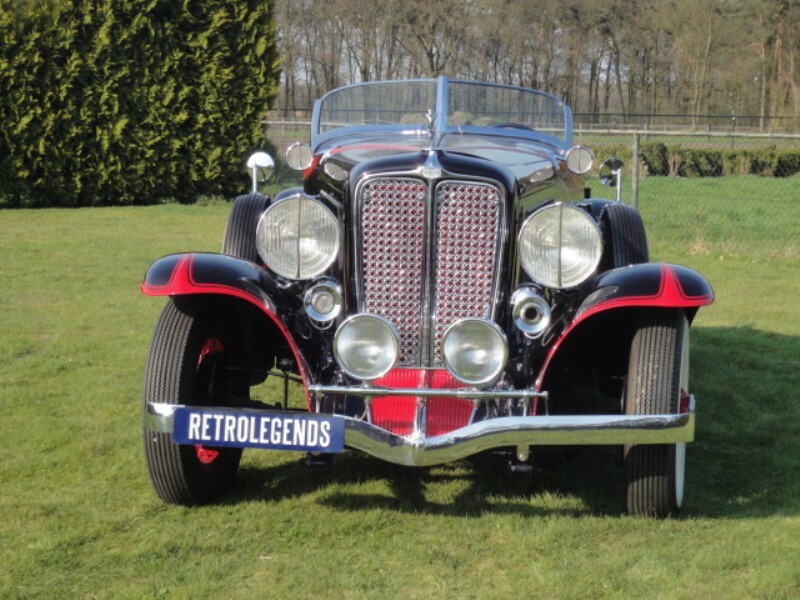 This Auburn was built in 1932 and has the gorgeous grill of that year. 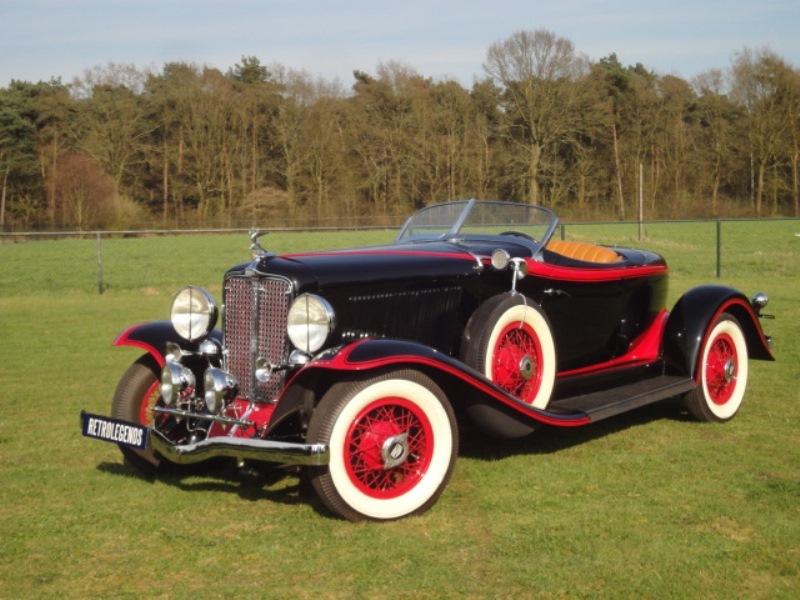 The car was probably born as a 4 seater open tourer with the 126 ich wheelbase and the Straight Eight 4405cc, 98 hp engine. 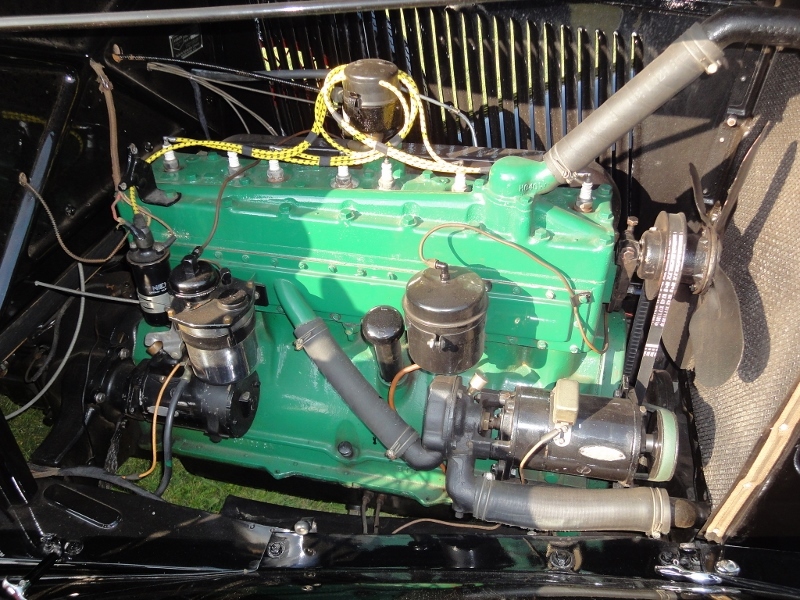 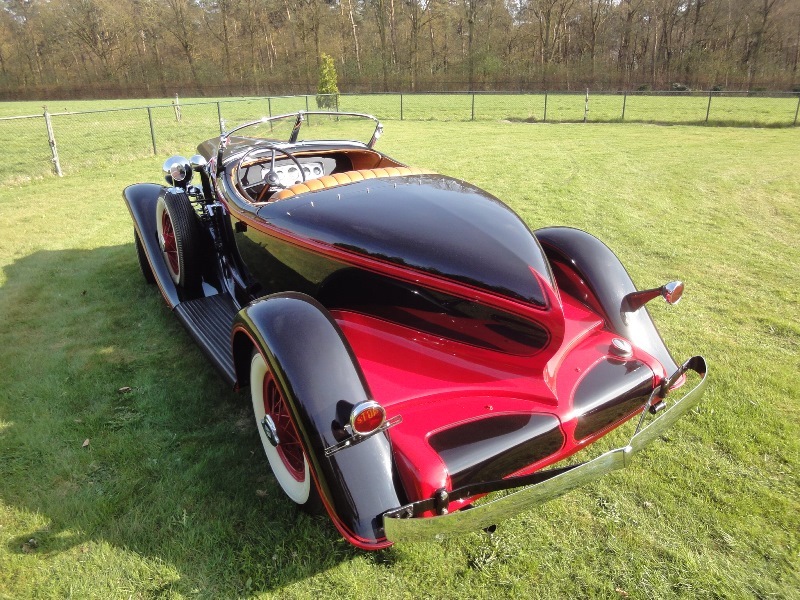 The chassis and mechanics of the Open Tourer and the Boattail Speedster are the same. 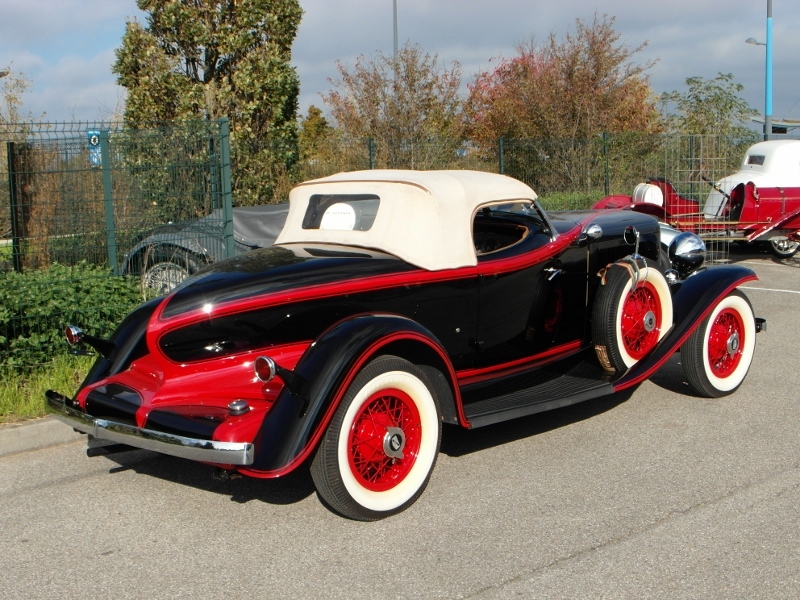 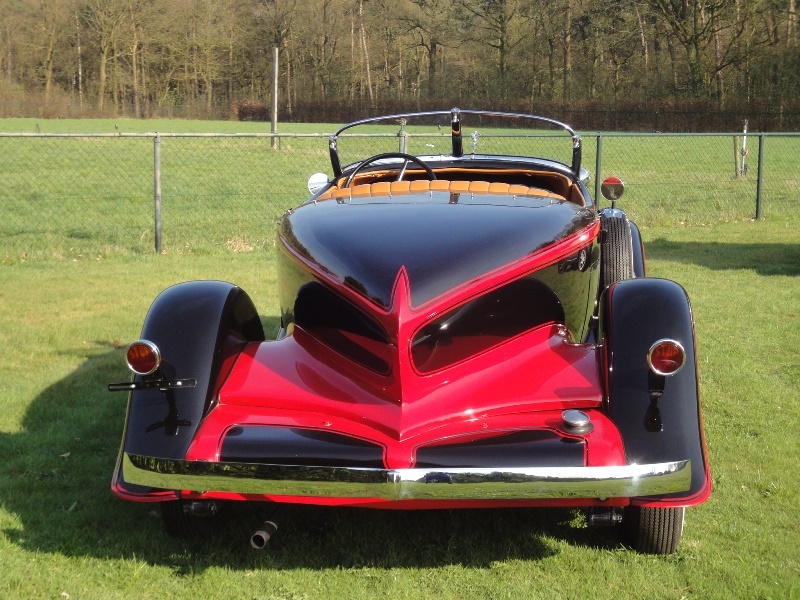 Probably that is why the restorers decided the rebody this car with the Boattail Speedster body. 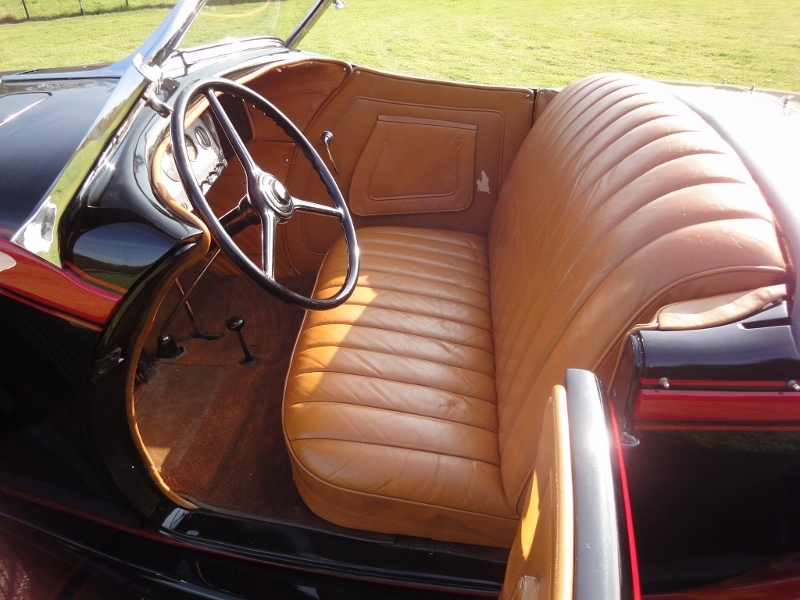 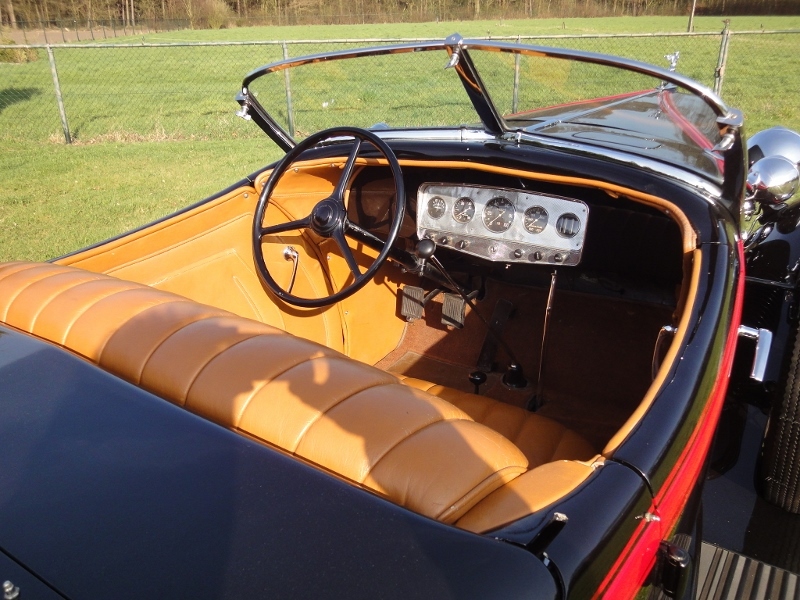 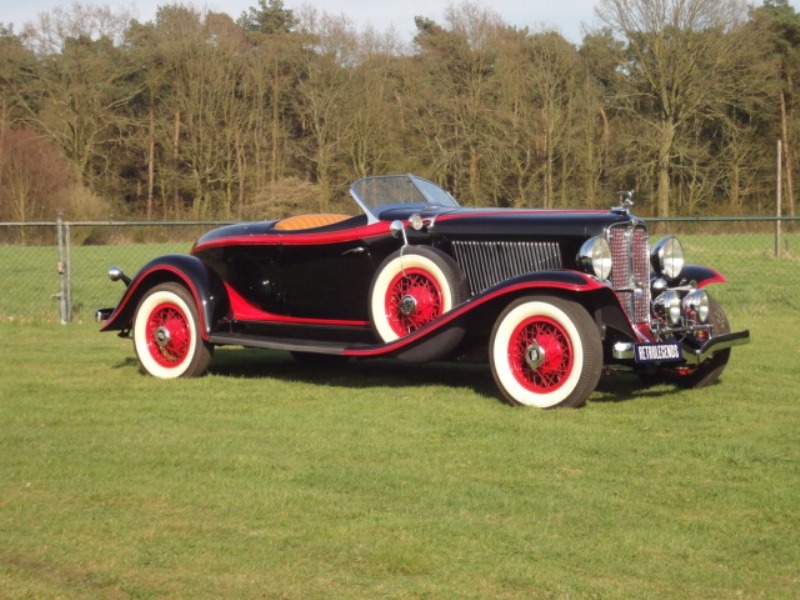 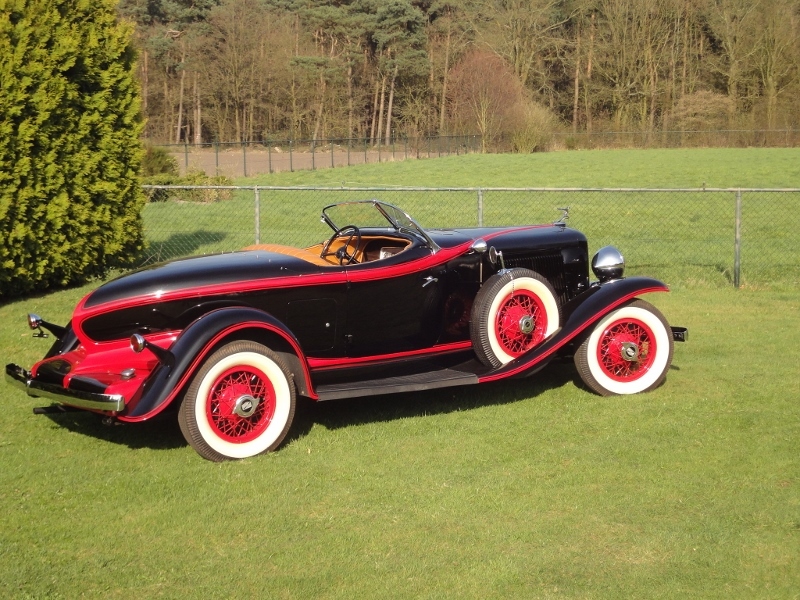 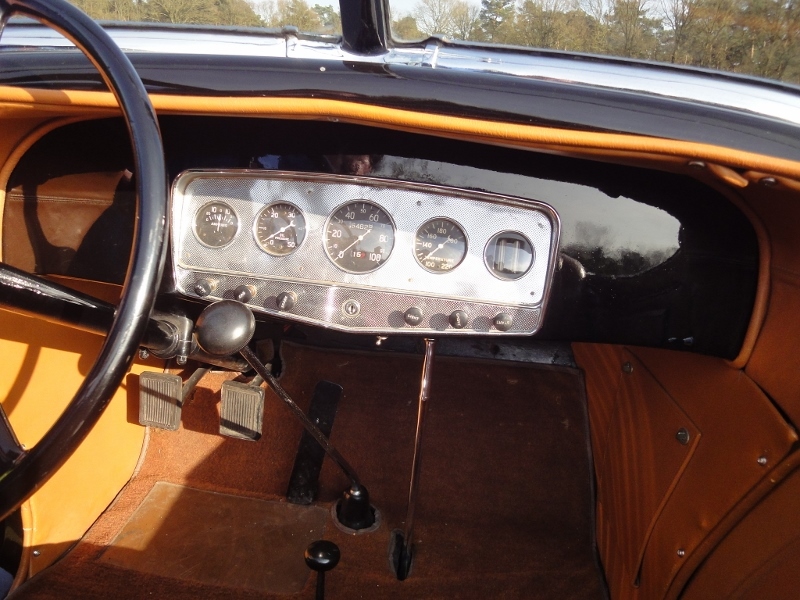 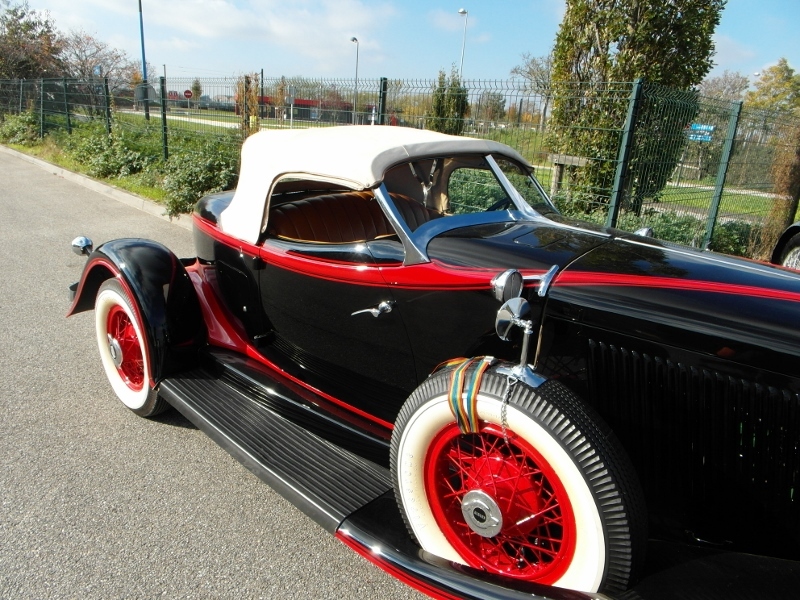 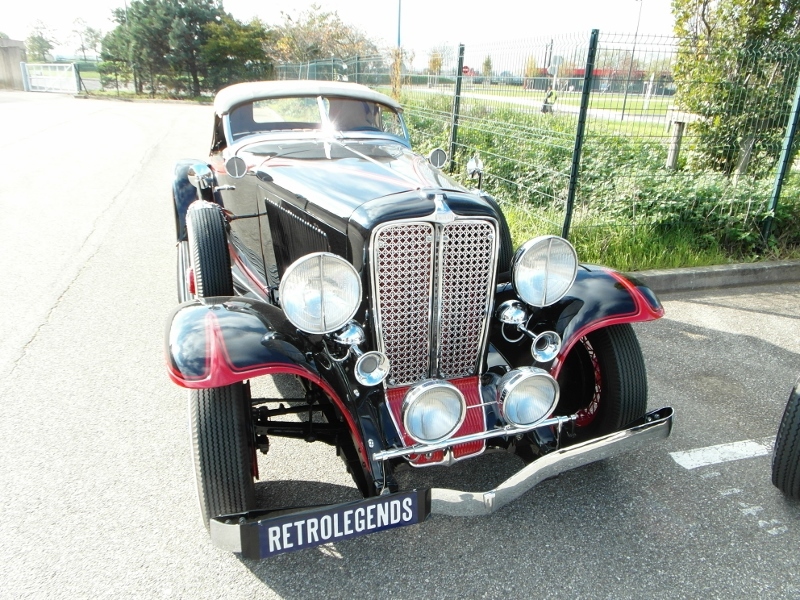 We could describe the car as an older restoration but still in very good shape. 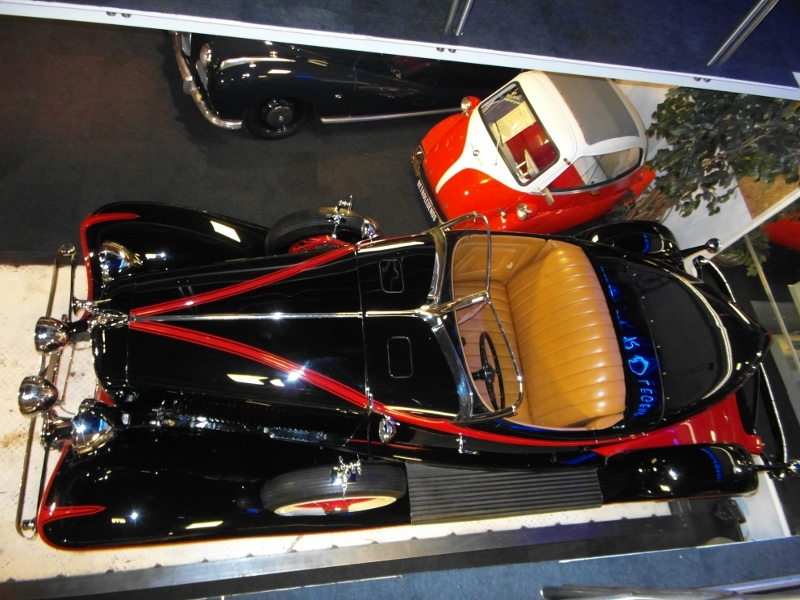 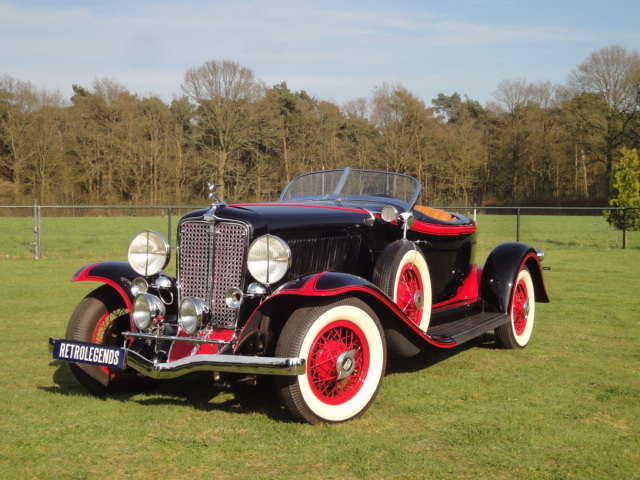 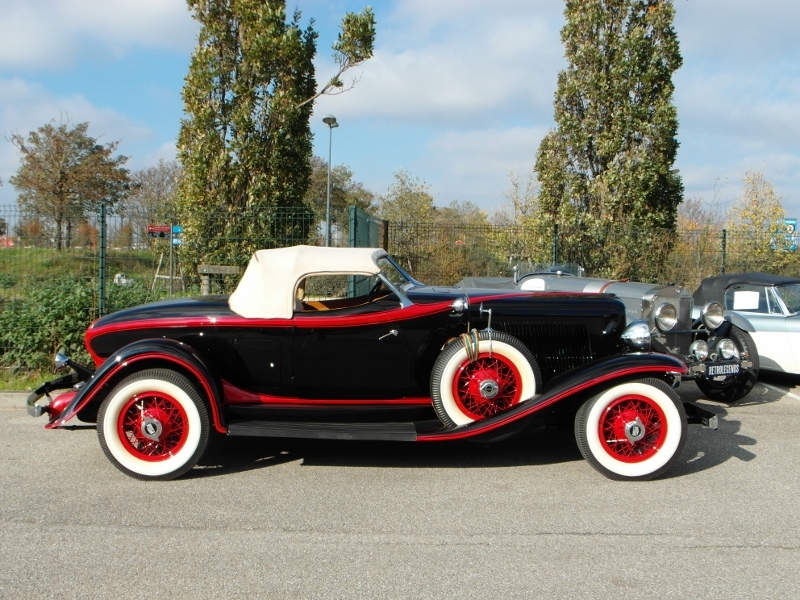 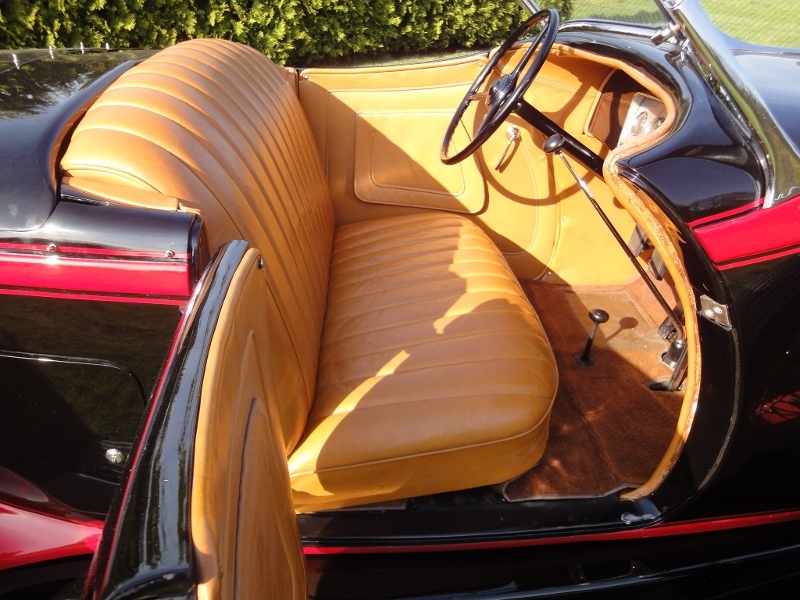 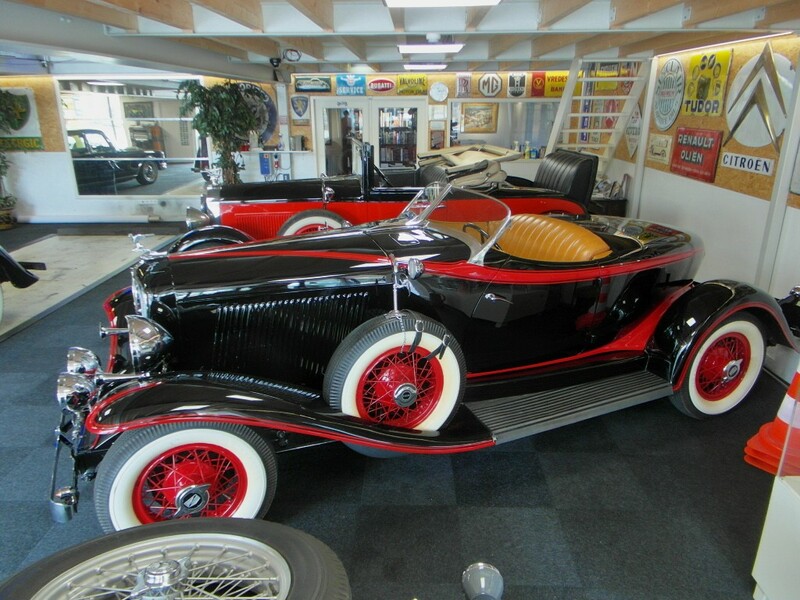 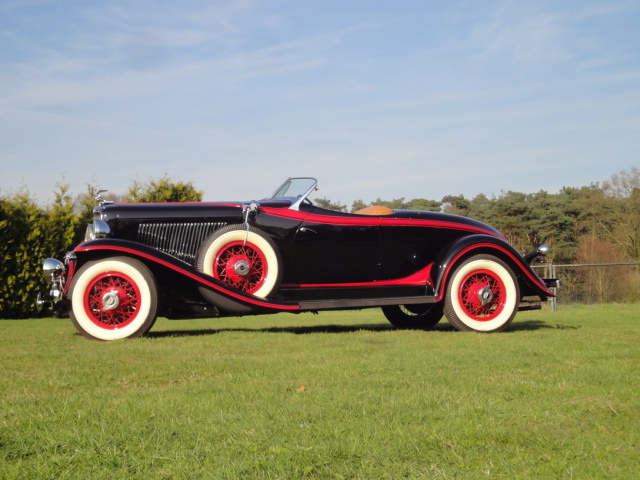 Before the Auburn was imported in Europe the car spent several years in the Sarasota Classic Car Museum in Sarasota, Florida USA. The first weekend of August 2014 the car was invited to take part in Concours d’Elegance: “Jewels in the Park” at Schloss Dyck Germany. 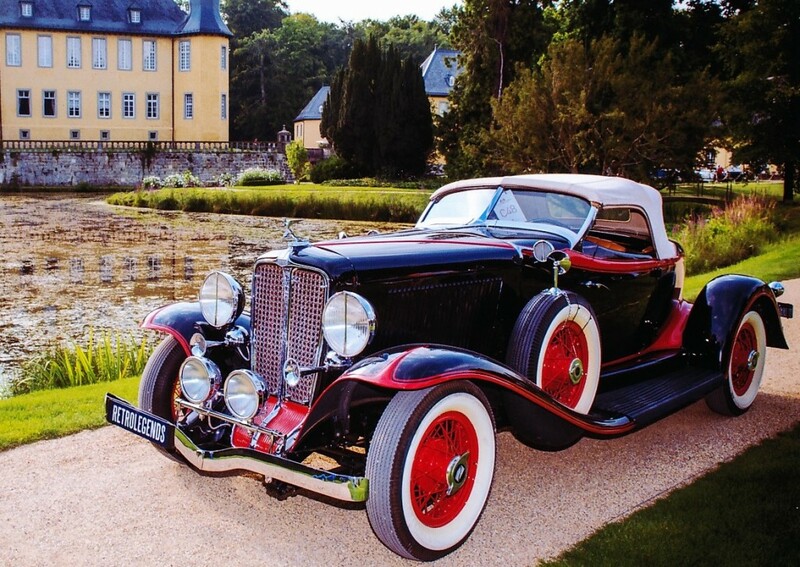 The car could be admired in the castles garden among other breathtaking showpieces. 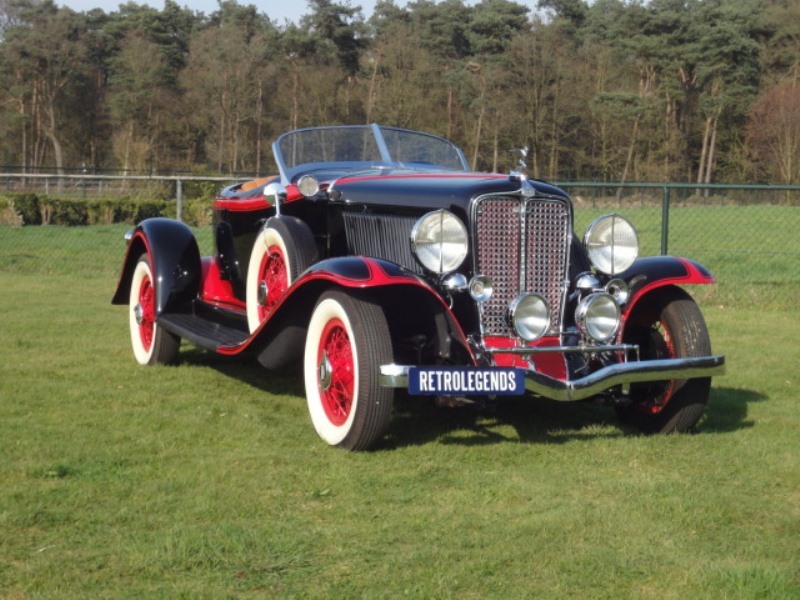 Now the car is on offer here in Holland, ready to cruise through the beautiful European landscape or doing a tour to the Cote d’Azur in the South of France. 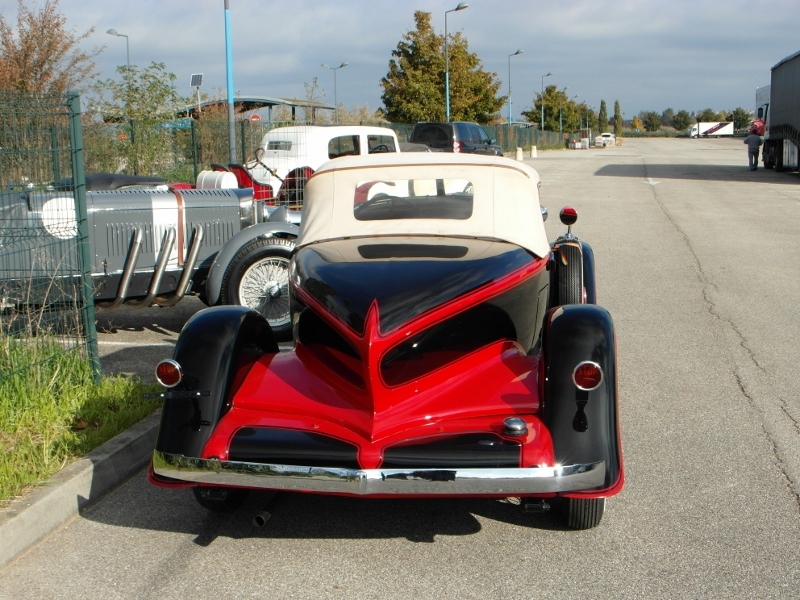 Who is next to enjoy this automobile?